Like the full Cries of Freedom education package but catered to the family. 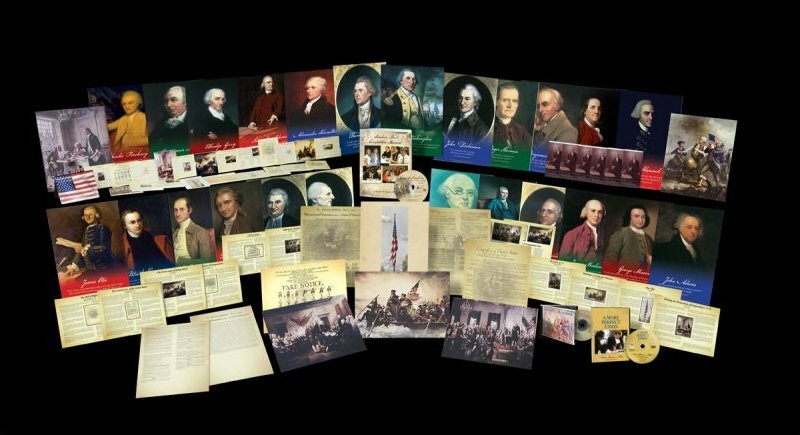 This is all 22 main images of the Freedom Gallery in a handy 11"x14" format that can be hung in the classroom, business or home. The storyboards are 8"x10". 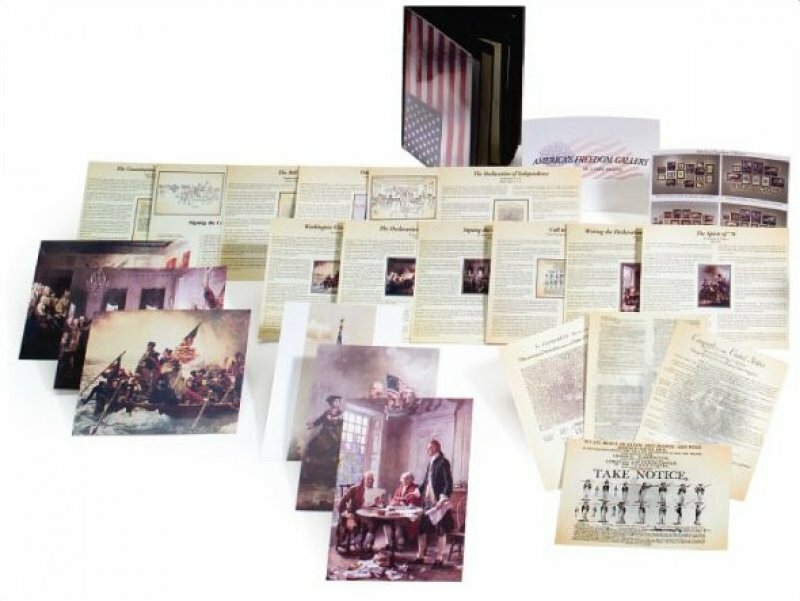 Beautiful 4" X 5" reproductions of America's Freedom Gallery (23 pieces) in a patriotic postcard album. 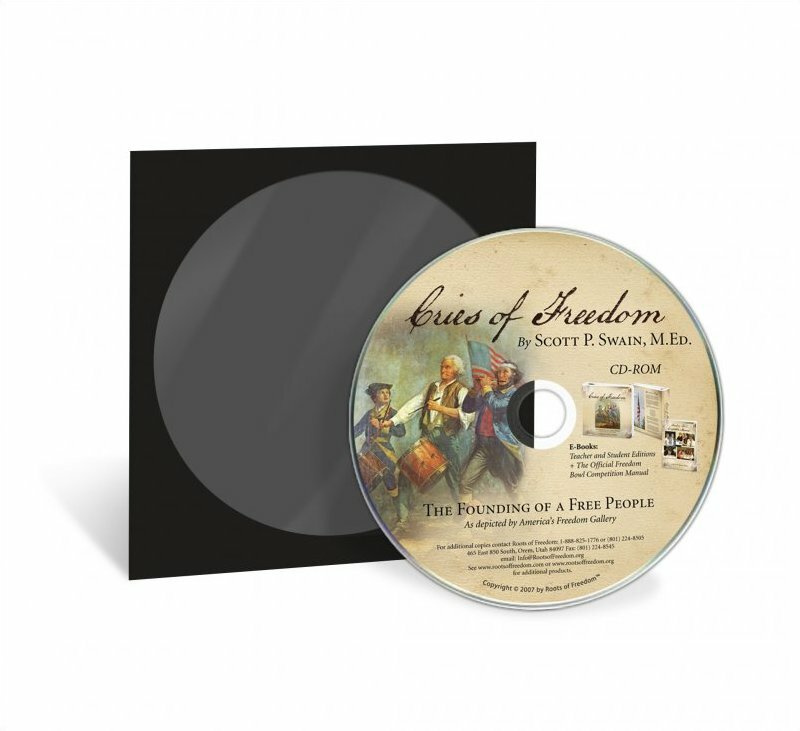 Includes images, storyboards and diagrams. All are readable! A More Perfect Union docu-drama - educational version. 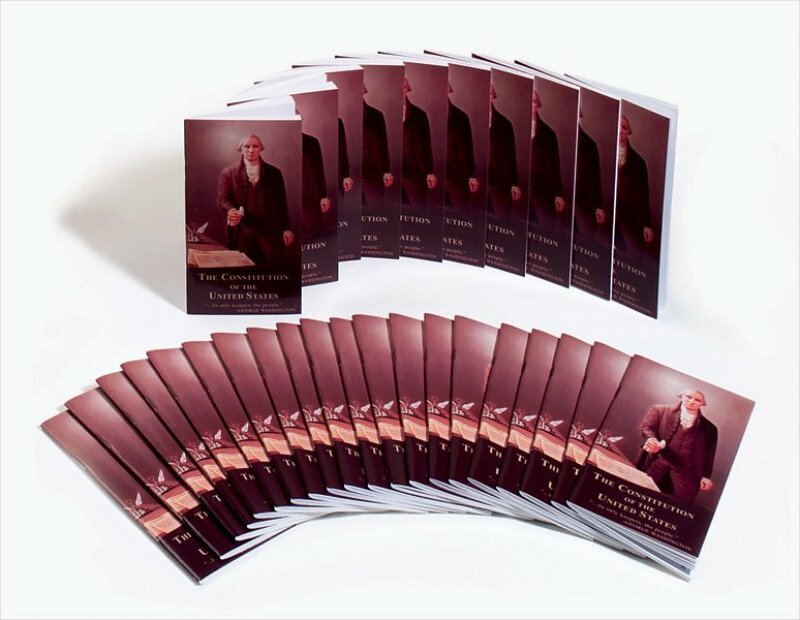 A booklet that contains the founding documents that students can study and keep. 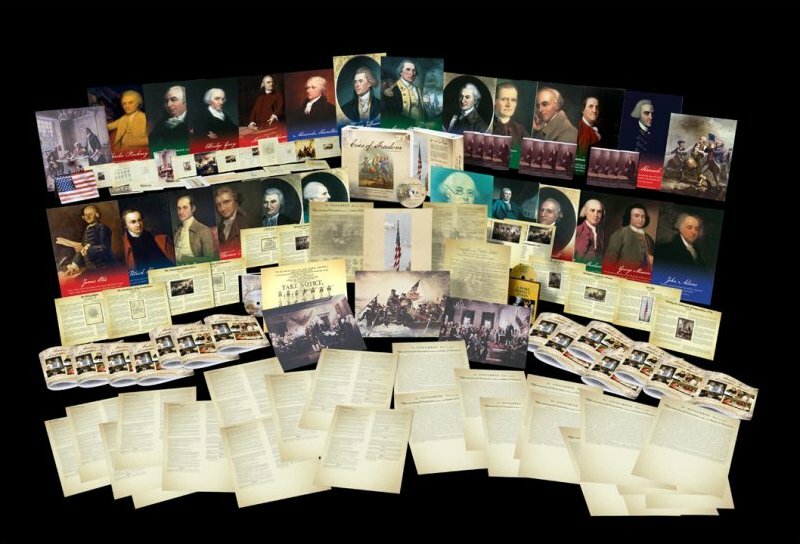 Booklets that contain the founding documents that students can study and keep. 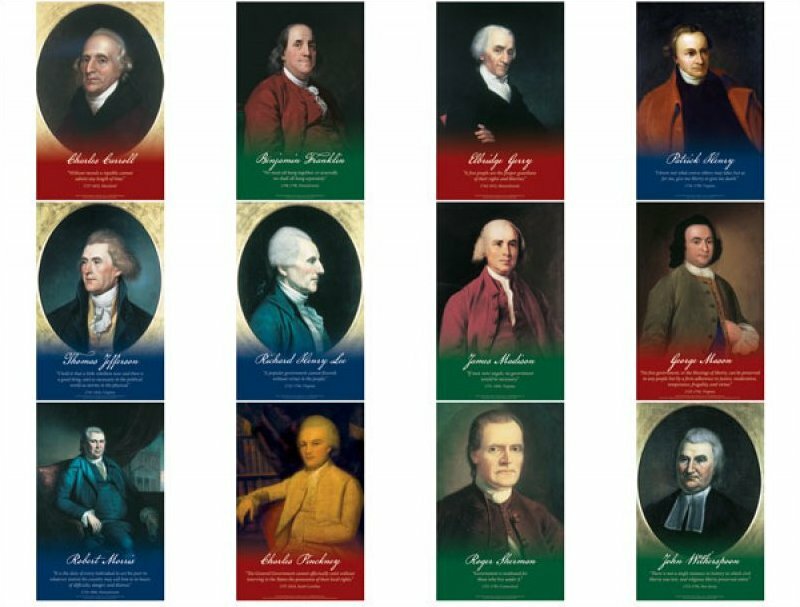 Series I features Charles Carroll, Benjamin Franklin, Elbridge Gerry, Patrick Henry, Thomas Jefferson, Richard Henry Lee, James Madison, George Mason, Robert Morris, Charles Pinckney, Roger Sherman and John Witherspoon. 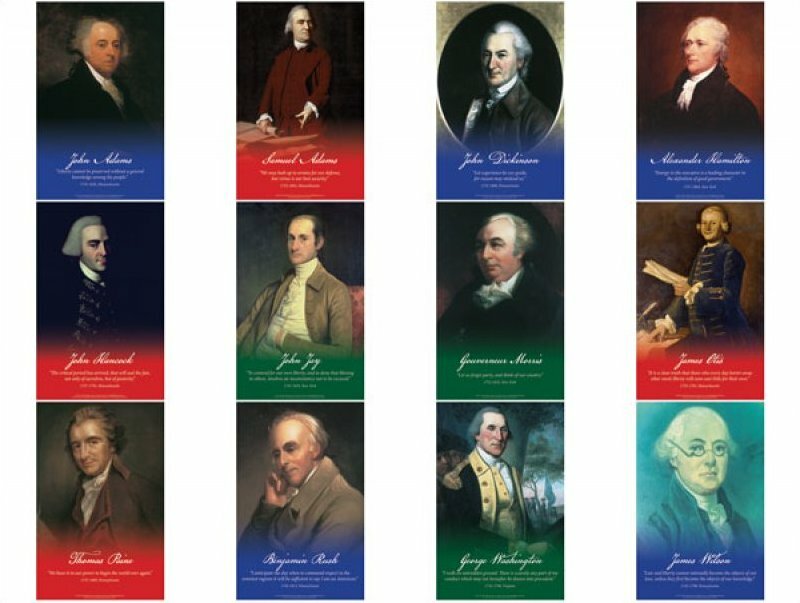 Series 2 features John Adams, Samuel Adams, John Dickinson, Alexander Hamilton, John Hancock, John Jay, Gouverneur Morris, James Otis, Thomas Paine, Benjamin Rush, James Wilson and George Washington. 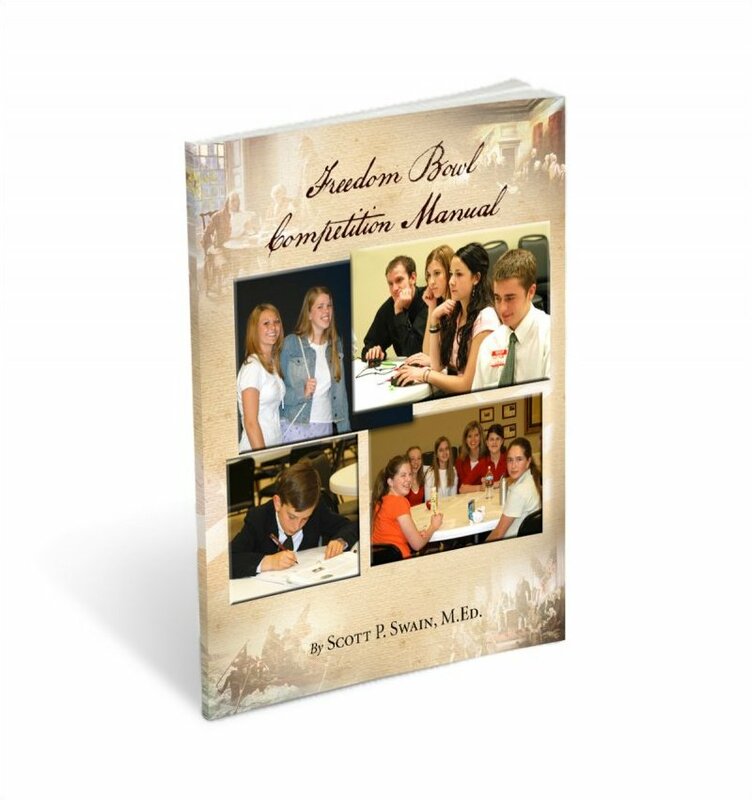 The official manual for students to prepare for competing in Freedom Bowls. Includes all of the questions and answers, as well as the rules for competition and how to prepare. 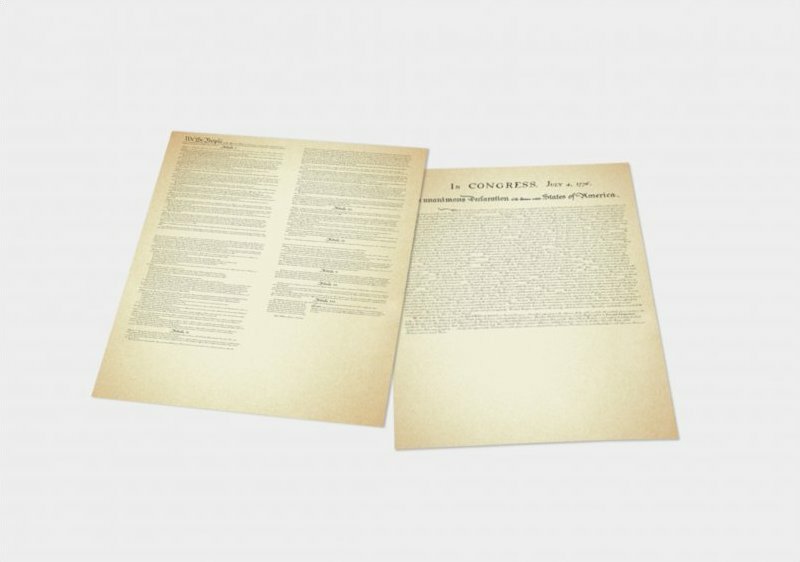 Also includes verbiage of the founding documents. 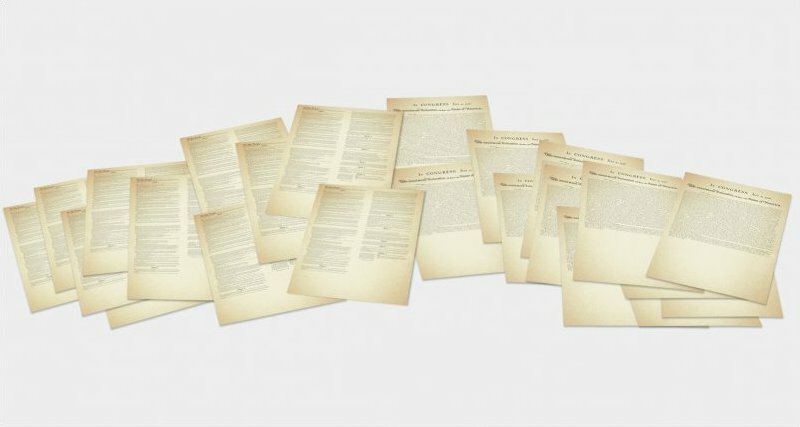 Thirty unsigned 11x17 copies of the Declaration of Independence and thirty unsigned 11x17 copies of the Constitution for students or families to sign and keep. 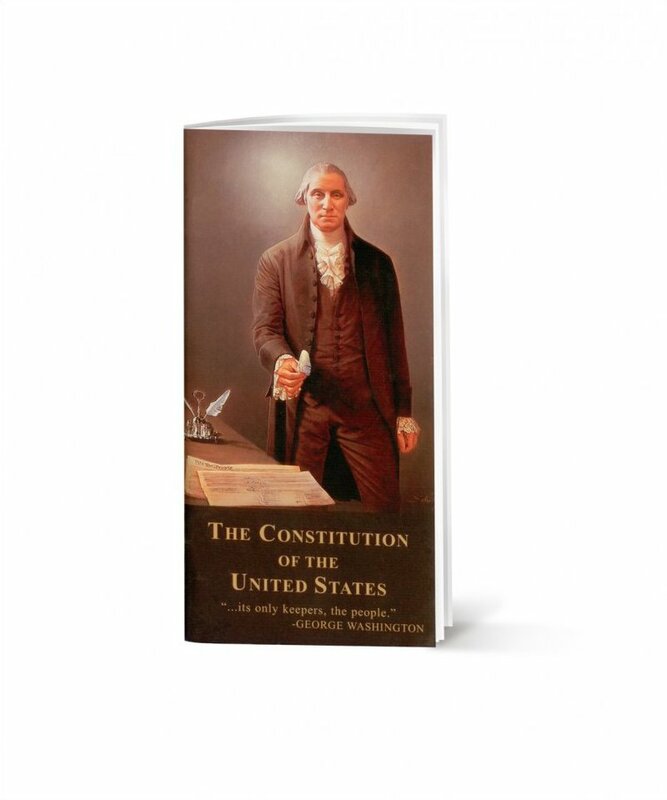 One unsigned 11x17 copy of the Declaration of Independence and one unsigned 11x17 copy of the Constitution for students or families to sign and keep. 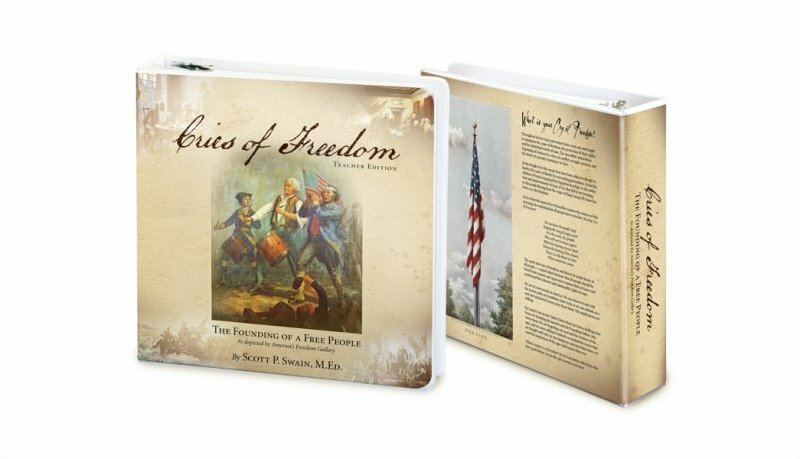 This E-book download has the Teacher's Edition, Student Edition, and Official Freedom Bowl Manual in an easy to use PDF format. 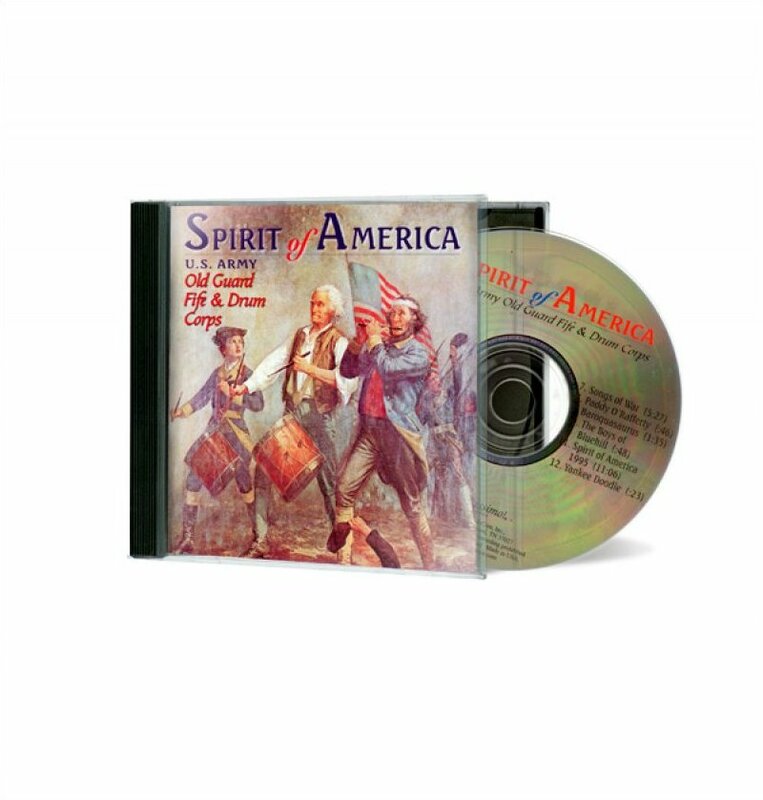 This E-book has the Teacher's Edition, Student Edition, and Official Freedom Bowl Manual in an easy to use CD in a PDF format. 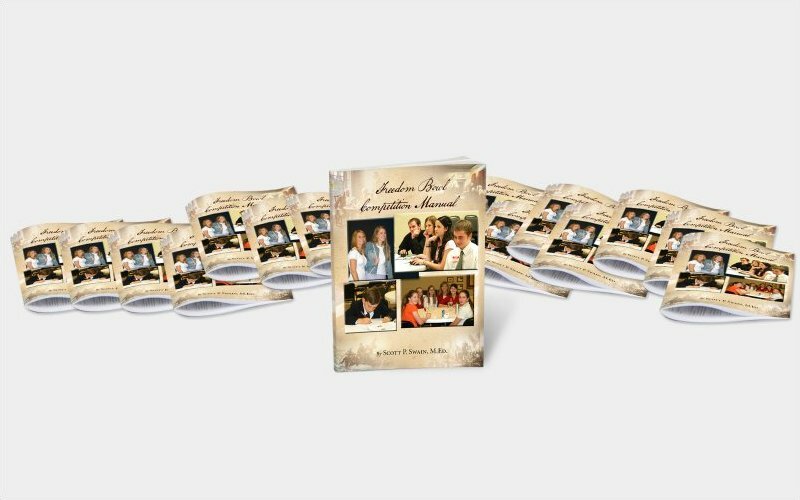 One teacherâ€™s manual with lesson plans and scripts, quizzes, assignments, programs, exams, glossary, and bowl questions with all of the scripts that can be copied for the students. 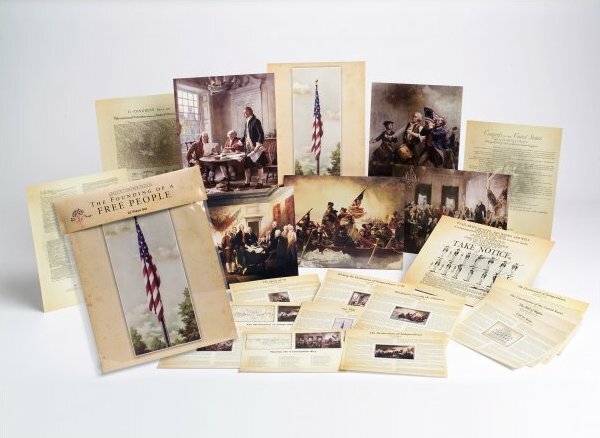 Both Teacher Edition and Student Edition are in the same binder.